Today, Ubisoft has revealed that on June 11, 2019, the Assassin’s Creed Symphony will kick off their worldwide tour. Dates and locations have all been revealed. Here’s everything you need to know. Since its launch on Oct. 5, 2018, Assassin’s Creed Odyssey has become the best selling title in the history of the series, showing strong sells in the week since its launch. We’ve all been fascinated at some points in our lives with the notorious killer by the name of Jack the Ripper. 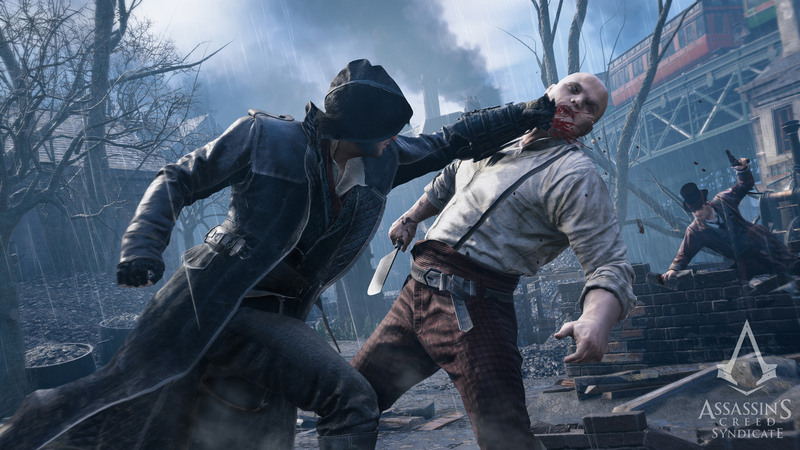 With many games under the belt of this motivated serial killer, Assassin’s Creed Syndicate brings Evie Frye to his doorstep as she hunts him down 20 years later after the events of the initial story. Releasing on Consoles on the 15th and PC on the 22nd, players will hunt down Jack and put an end to his killing spree to righ the wrongs for which he has committed. For those looking forwards to the DLC, the content will be available for Season Pass holders for free as well as upcoming DLCs the Last Maharaja mission pack, a Long Night (Season Pass Exclusive) and the Streets of London gameplay back as well as other exclusive items for Season Pass holders. For those who are looking to get this DLC alone? Prepare to shell out 14.99 USD for the added content. Wait, B.A.T.G.R. Where’s Your Call of Duty Black Ops III Review and Assassin’s Creed Syndicate Review? When working on processing what games we will review, we have to sit down as a team and discuss the games we wish to review, we feel we need to review and ultimately what titles get to go through the review process. Unfortunately for some games we do cut them out of our list of titles to review while others manage to slip in and make the review priority list. This year you may notice we have a lot of absence regarding big name triple-a titles and even titles that aren’t as big. Before I continue on I must stress to you the readers that we are 100% unfunded by any company. We don’t have any paying backers willing to throw a few dollars our way to ensure that we can process reviews, afford to quit our jobs to focus solely on this project or even prioritize our time away from other things to guarantee their product will be reviewed. While we are lucky to work with as many studios and publishers as we do we don’t always get the opportunity to review the games we would like to or even afford them since a lot of our hardware, games and accessories are actually paid for by us through our every day jobs. While we would have loved to review Call of Duty Black Ops III, Rise of the Tomb Raider and even Assassin’s Creed Syndicate – we don’t have the money nor were we given the opportunity to by the publishers. All we can do is be thankful for your time taken to read about the products we do cover as well as the titles we are fortunate enough to review when we do and we hope to see more of your feedback and support in the future.